I’ve known several people over the years that considered themselves experts at everything. In common vernacular they were know-it-alls. Rarely did their knowledge actually match their egos. However, I have also known a couple of people whose knowledge and range of interests were astounding. One was Bob, a neighbor of mine back nearly forty years ago when I was just beginning to fish. Bob was a Kramer-like personality (think of Seinfeld), a gonzo type (before the word was even invented), and a maverick who had a million and one projects going full bore at all times. He was a Renaissance sort of guy and a true 20th Century polyhistor. Although he never personally claimed to know-it-all, and displayed little sense of fanfaronade, his actions indicated that he thought he did. I certainly thought he was an expert at everything. He probably wasn’t, but he did like to tinker and invent and he did have a working knowledge about many, many subjects. He also had, in the eyes of this naive fifteen-year-old child, a truly amazing workshop. The shop was huge and filled with a variety of objects, most with no discernible purpose in life. I don’t think Bob had thrown away any usable parts of any usable contraption for fifty years (and he was about seventy years young at the time I knew him). There were tools, old signs, bottles, Geiger counters, and thousands of similar items. His pride was the skull and horns of a Texas Longhorn (and it was, in truth, interesting). Included in the mélange were a few hundred spiders and at least a like number of spider webs. It wasn’t exactly a chemically clean or even clean environment (in fact it would probably be considered a toxic waste site by some today). Nevertheless, amidst this “junk” was a corner reserved for his fishing equipment. Seven split bamboo rods of various lengths and strengths! A box of reels for everything from surf to deep, deep-sea fishing! And hundreds of lures, hooks, leaders, sinkers and accessories that he had accumulated over the years, most in excellent condition. Bob was a fisherman, a semi-regular at Newport Pier, and one of my early mentors. One day Bob asked if I would like to go up to the Seal Beach Pier. Since my normal trips were limited by the distance I could travel on my bulky Schwinn bike, it was an offer I quickly accepted. A few nights later, Bob and I were headed north on the Pacific Coast Highway in his old but reliable Dodge truck. 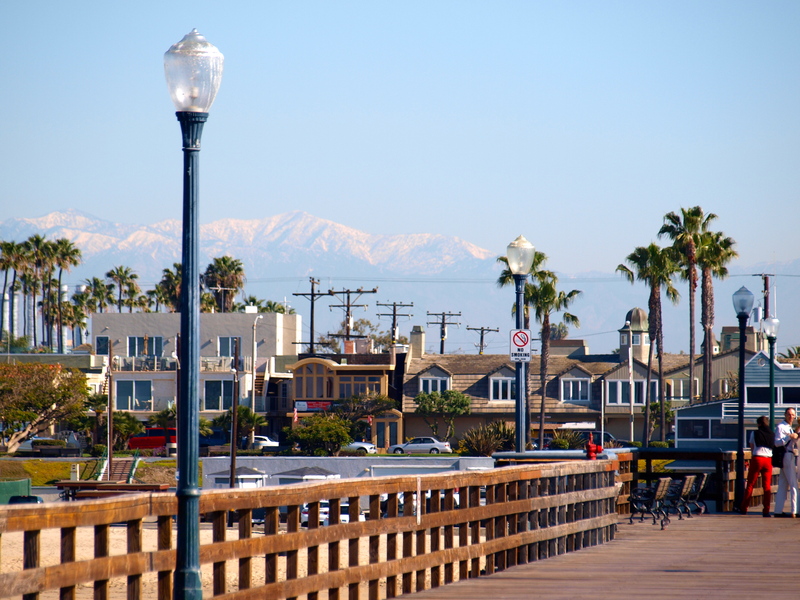 The destination was Seal Beach and the pier. The night proved warm, the water was flat, and the fishing was slow (I caught three queenfish in four hours). Nevertheless, we still had a good time at the pier. Then, on the way home, Bob offered up one of his “golden rules,” and he had many of these little homilies.“If you want to catch bonito, fish at the Newport Pier. If you want to catch tomcod, go to the Huntington Beach Pier. 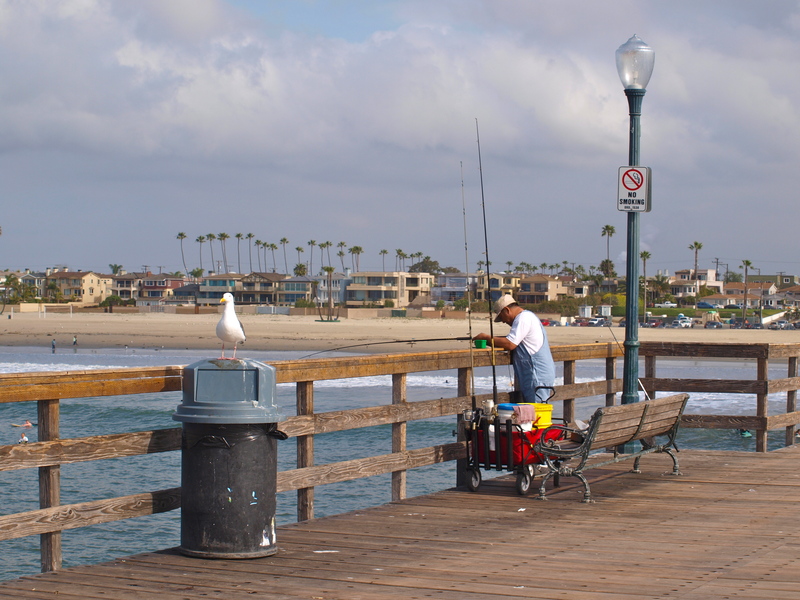 If you want to catch herring, go to the Seal Beach Pier.” It was a straightforward expression of his belief. But was he right? Over the years my visits to the three piers have seemed to confirm his thoughts as regards their different catches. But there are also some important caveats. 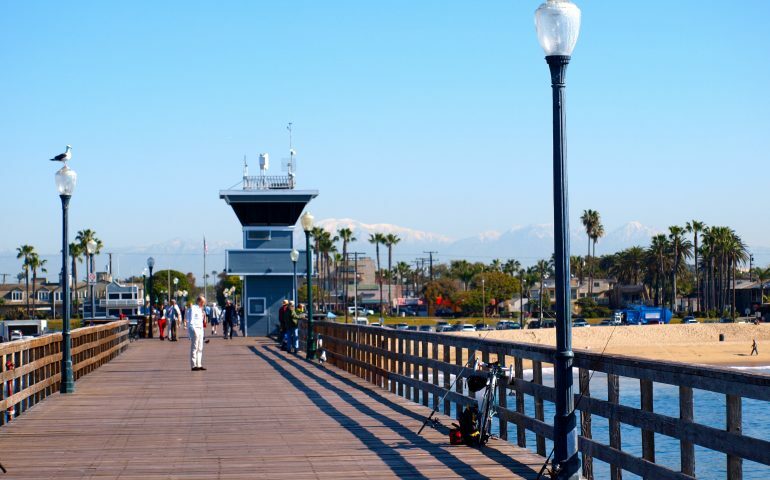 The Newport Pier is the best of all three piers for bonito — when they are visiting the southland. Mackerel tend to be at the pier every year but the boneheads typically are a warm-water visitor and some years they’re simply not to be seen at Newport. Huntington Beach continues to be the best of the three for tomcod (white croaker) but my visits have yielded less and less of the fish over the past two decades. It seems their numbers have dropped and are still dropping. As for Seal Beach, it is still the best of the three for herring (queenfish) but here too there has been a drop in the number —of queenfish. In the mid-90s, I averaged 17.8 queenfish per trip, by the early 2000s the number had dropped to 9.8, today it is only 7.0. Partly it is due to the fact that I rarely use bait rigs any longer. Partly it is due to the fact that some of the prime areas on the pier that I used to fish are now closed (affecting the ability to cast under the pier where the queenfish like to hang out). Nevertheless, I think the numbers of queenfish is down. When the queenfish are present, most of them will be small but mixed in will be an occasional plump, pan-sized fish, a fish big enough to save and eat. However, most of the regulars at the pier fish for the smaller queenies and are most excited when they catch an especially small fish. That fish represents prime halibut bait and that is what the experts (regulars/pier rats) are after. Unfortunately, most of the tasty flatfish today are under the minimum size. Still, halibut are one of the premier fish for pier anglers and Seal Beach seems to offer up quite a few halibut. So Bob was only half right, there are queenfish at this pier but also halibut and many other fish; in fact, it is also one of the best piers for a variety of croakers. Environment. 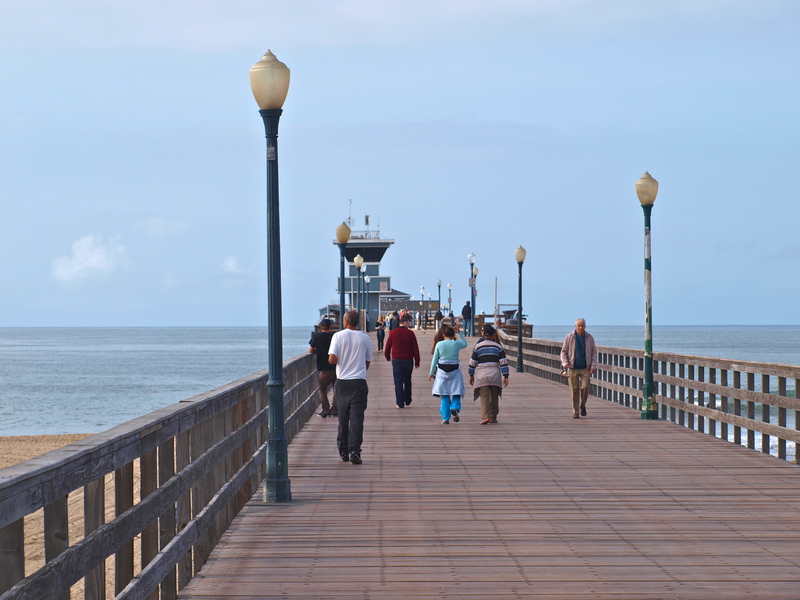 The pier’s environment is affected by a variety of factors, many of the man-made variety. Just east of the pier is the entrance to the Anaheim Bay-Huntington Harbor-Bolsa Chica Bay complex. These bay and estuary areas act as nursery grounds for young fish that eventually move out into the waters of Seal Beach and adjacent areas. Just west is the outlet for the San Gabriel River (with water warmed by the discharge from several power plants), the inlet to Alamitos Bay, and the beginning of San Pedro Bay, a huge, heavily industrialized body of water. 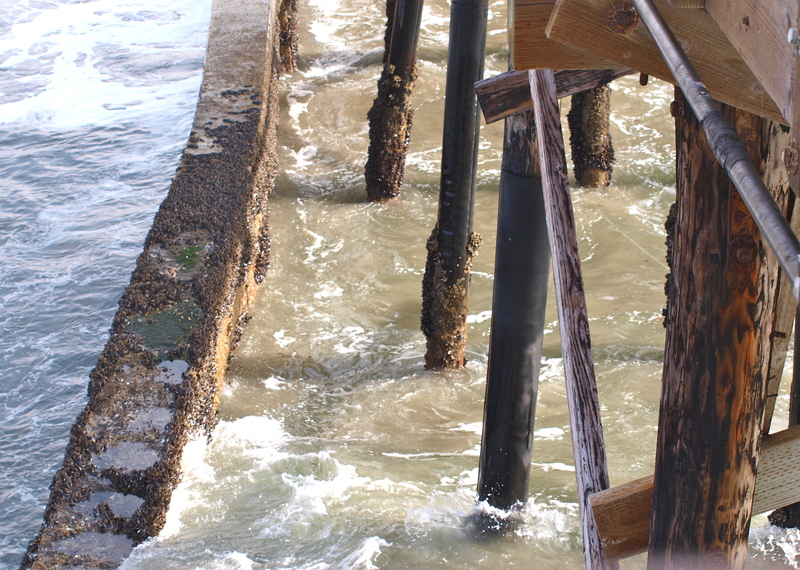 An immediate impact is seen in the concrete seawall (or groin) that parallels the pier from the shoreline to about halfway out on the west side of the pier. 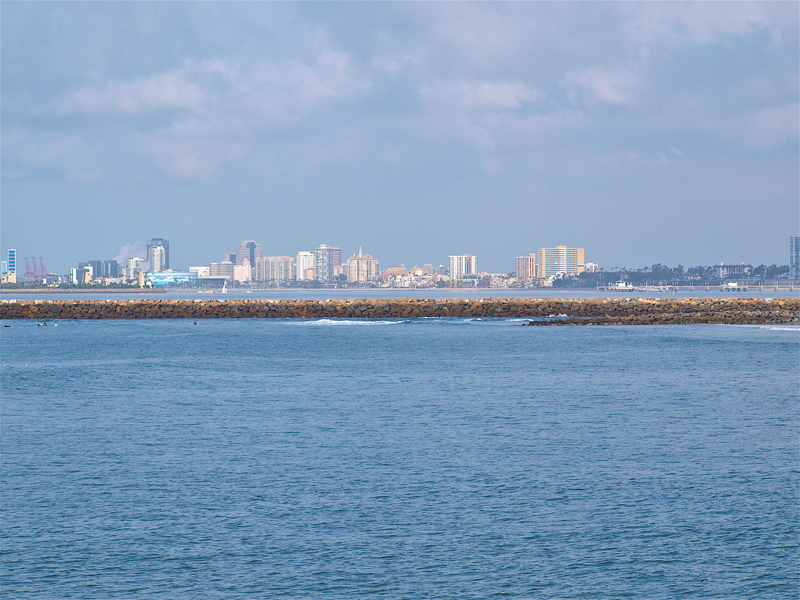 Because the San Pedro-Long Beach breakwaters changed the local ocean currents, the seawall is necessary to prevent sand from being carried away and the only way to prevent the pilings from being undermined. The seawall does make it harder to fish the inner portion of the pier on the west side (if you’re casting out) but it also provides protection for the beach and very calm water on the south side of the pier. The wall also presents a fairly unique, mussel-covered fishing area straight down from the pier, one heavily utilized by fishermen. The warm water from the San Gabriel River offers a second man-made affect when the currents cooperate and bath the pier in water that is warmer than surrounding areas. Warm water attracts warm water fish and species occasionally show up at the pier that are relatively rare for the area (bonefish, triggerfish, sea turtles, etc.). When the exotics show, they often leave the locals scratchin’ their heads and wonderin’ about the fish they just caught. Additional artificial conditions result from a quarry-rock reef that was constructed just out from the pier in the mid 1960s. It still seems to bring in species such as cabezon that are infrequently caught at sandy-shore piers like Seal Beach. 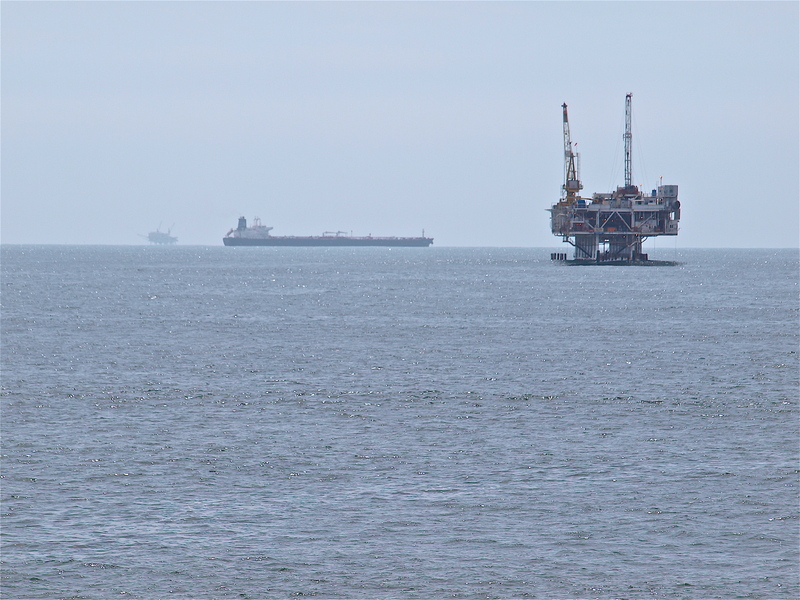 Unfortunately the proximity to San Pedro Bay can also cause a few problems. 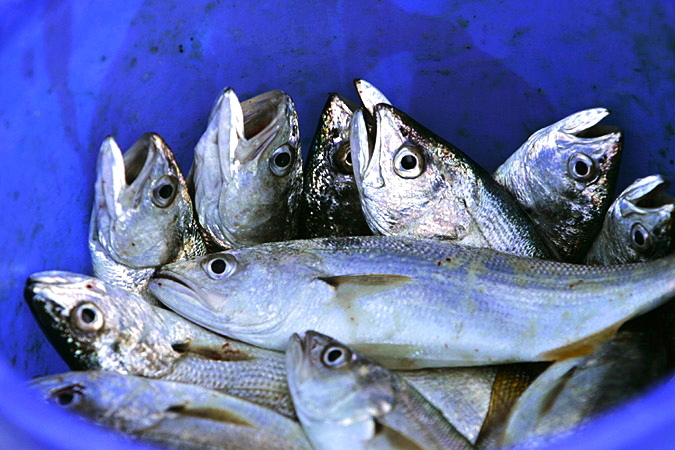 Because of heavy pollution, some of the fish in these waters may not be safe to eat in quantity, fish such as tomcod (white croaker). Another result of the closeness to the breakwater is very mild wave action in the surf on most days. This is a good area for corbina and one of the best areas for spotfin croaker, China croaker (black croaker) and sargo. For the most part, the bottom around the pier is sand, pilings have a good growth of mussels, and water is fairly shallow. Fish. Although the pier is long, fishing is fairly similar inshore to mid-pier while the end (when it’s open) does produce a little different action—at times. In the shallowest splash zone, anglers can expect corbina and possibly barred surfperch. Just past the breakers anglers can expect yellowfin and spotfin croakers, barred surfperch, thornback rays and sometimes way too many plate-sized round stingray (generally during the summer months). As the water gets deeper anglers can expect more of these species but will see more of the smaller croakers, white croakers (tomcod) and queenfish (herring), some sargo, the smaller perch (especially walleye surfperch), jacksmelt, diamond turbot, halibut, and a few bass (mainly sand bass). Most of these will be caught on the bottom of midway up in the water column. This area should also produce thornback rays, smoothhound sharks (leopard sharks and gray smoothhounds), shovelnose sharks (guitarfish) and some bat rays. Top action will see an occasional flurry from pelagic species such as mackerel, barracuda (generally at night) or bonito (some years). Mid-pier, down around the pilings can produce blackperch (buttermouth), pileperch and some of the larger rubberlip seaperch. The piling area, mid-pier to the end can also produce a few scorpionfish (sculpin) typically at night and especially during the winter months. Is the end of the pier open yet? Copyright 2019 Pier Fishing in California. All rights reserved.